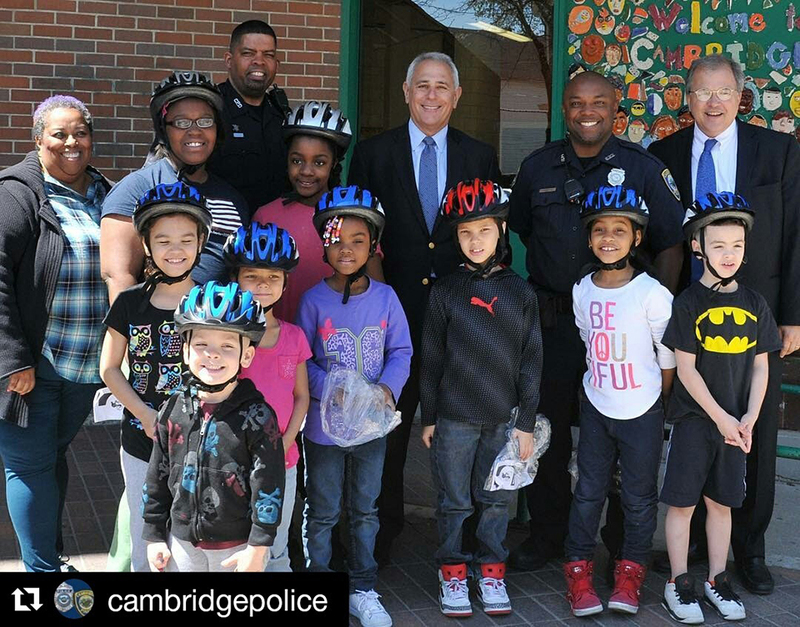 Breakstone, White & Gluck donated 140 bicycle helmets to the Cambridge Police in hopes of keeping children safe and preventing traumatic brain injuries from bicycle accidents. The donation was part of our Project KidSafe campaign, which has donated more than 10,000 bicycle helmets to children since 2013. Massachusetts law requires any person 16 years old or younger riding a bicycle to wear a helmet. By wearing a helmet, cyclists can reduce their chance for head injury by 50 percent, according to the Insurance Institute for Highway Safety. 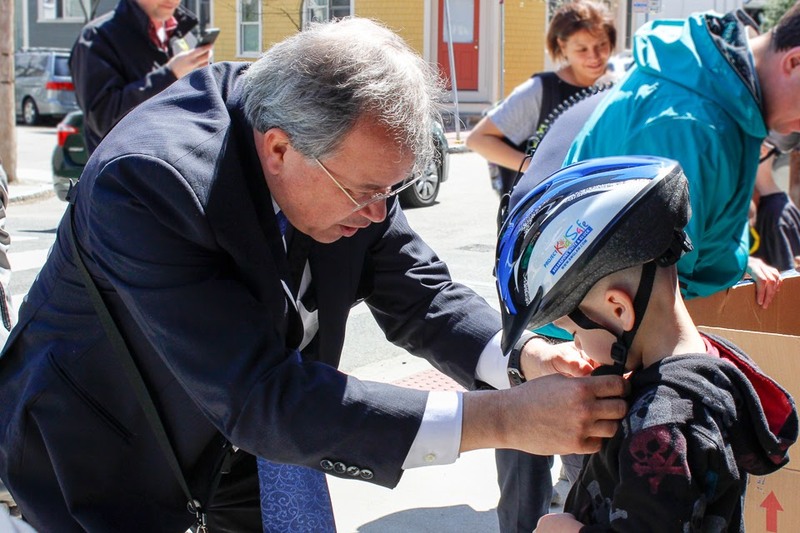 Attorney Ron Gluck and Attorney David White join children at the Cambridgeport School along with Audrey M. Sturgis, assistant principal, and Cambridge police officers Che Santos and Anthony Santiago, to kick off the bike helmet giveaway during National Bike Safety Month. 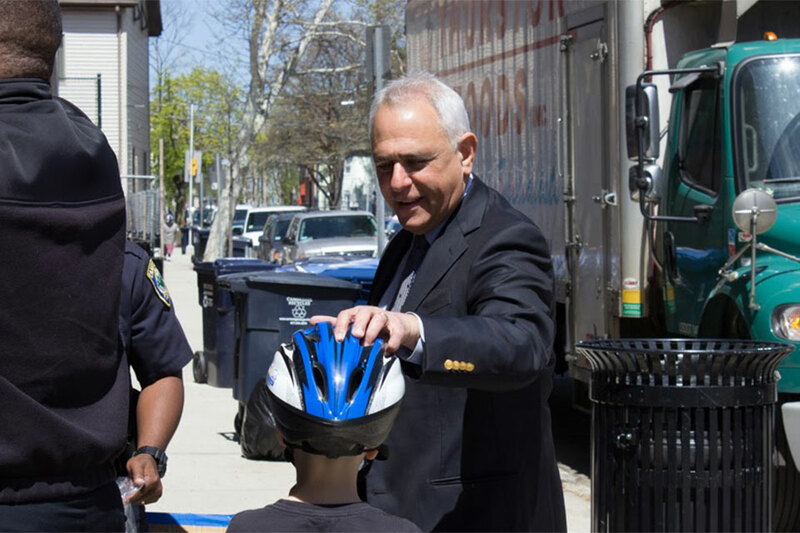 Attorney David White helps a child fit a bicycle helmet. Attorney Ron Gluck finishes fitting a helmet. 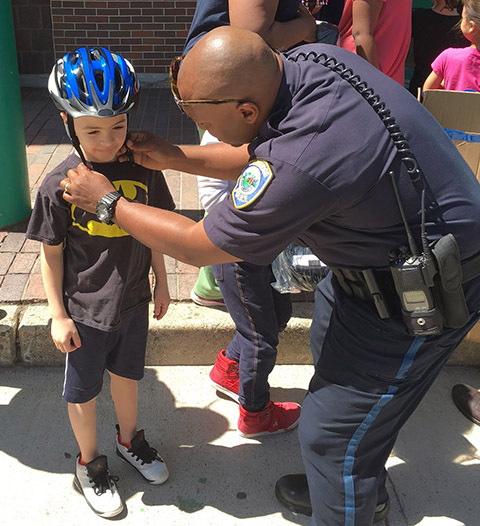 Cambridge police officers will distribute the bicycle helmets – and also show children how to properly fit them. 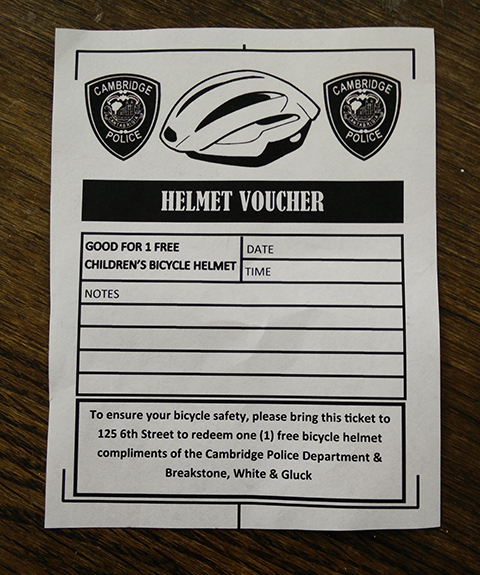 Cambridge Police will distribute these vouchers to children who are not wearing bicycle helmets during May. For more information on how to properly fit a bicycle helmet, visit our Project KidSafe webpage.